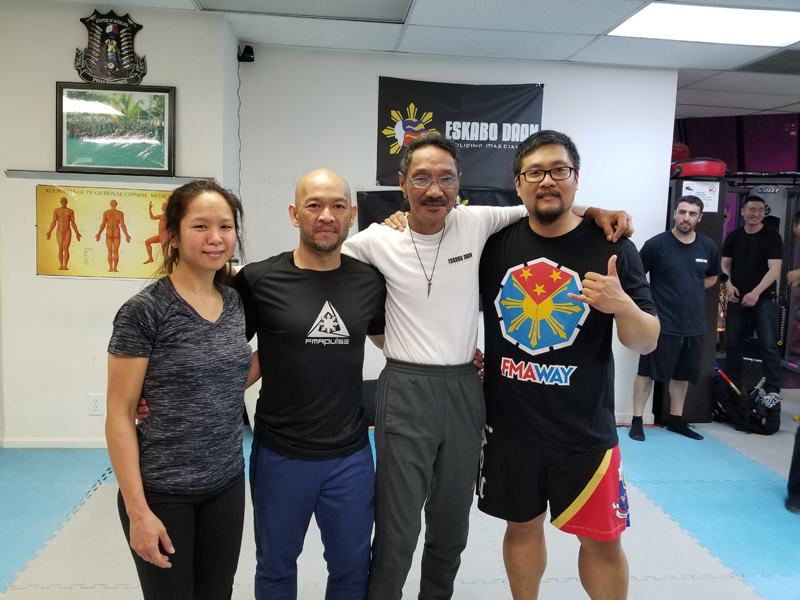 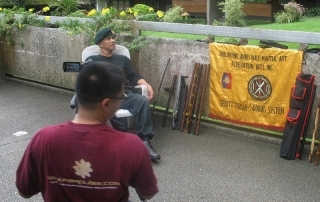 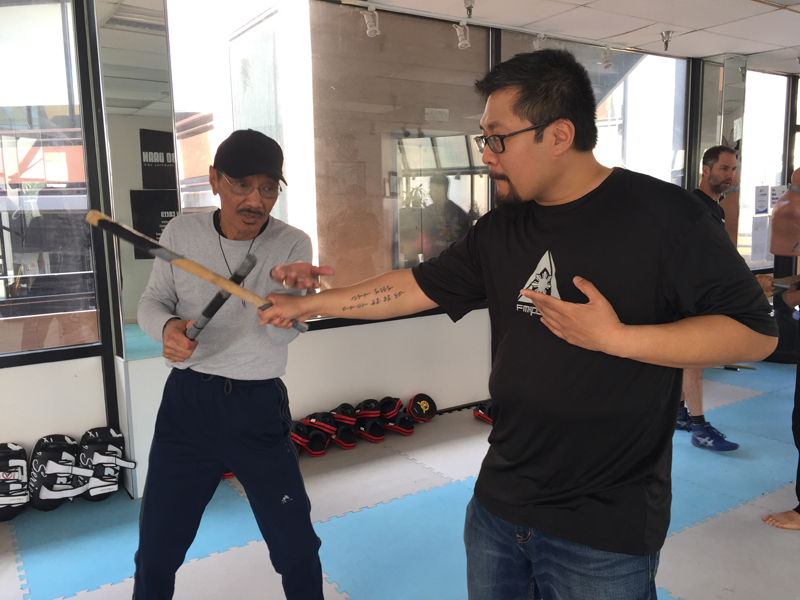 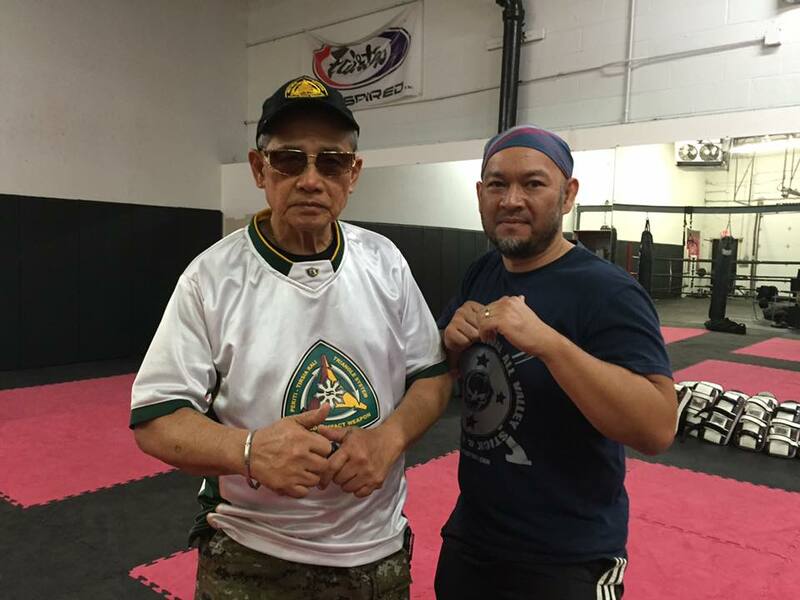 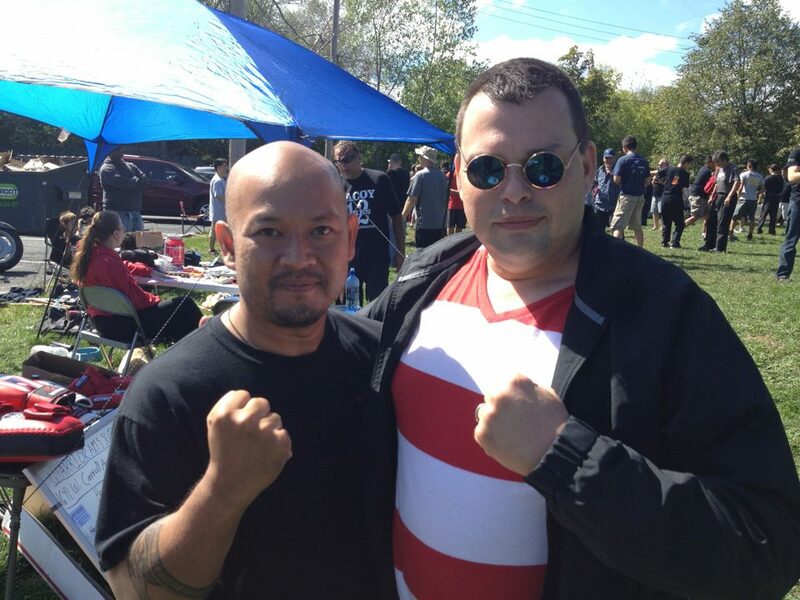 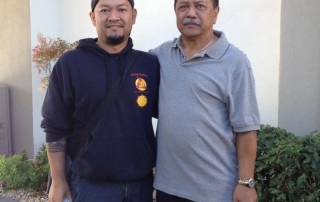 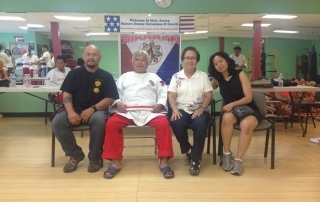 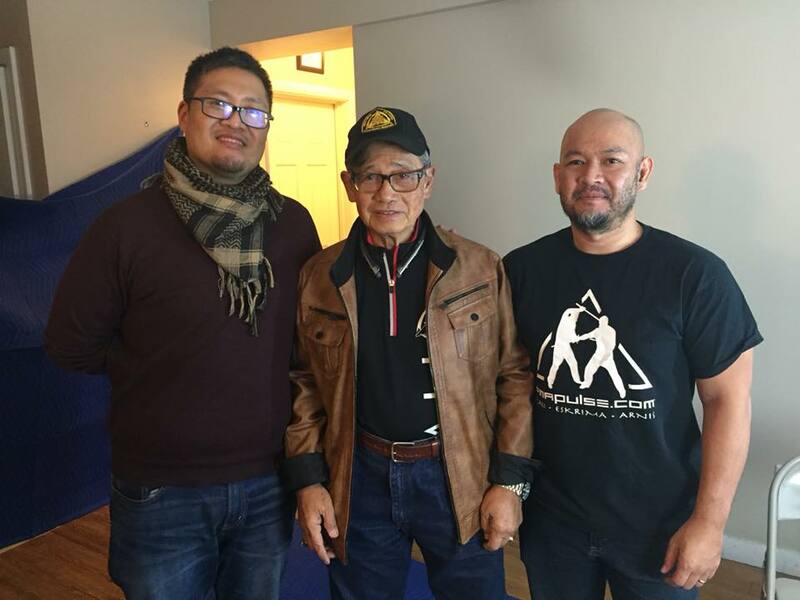 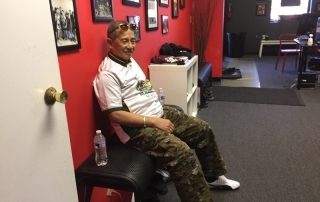 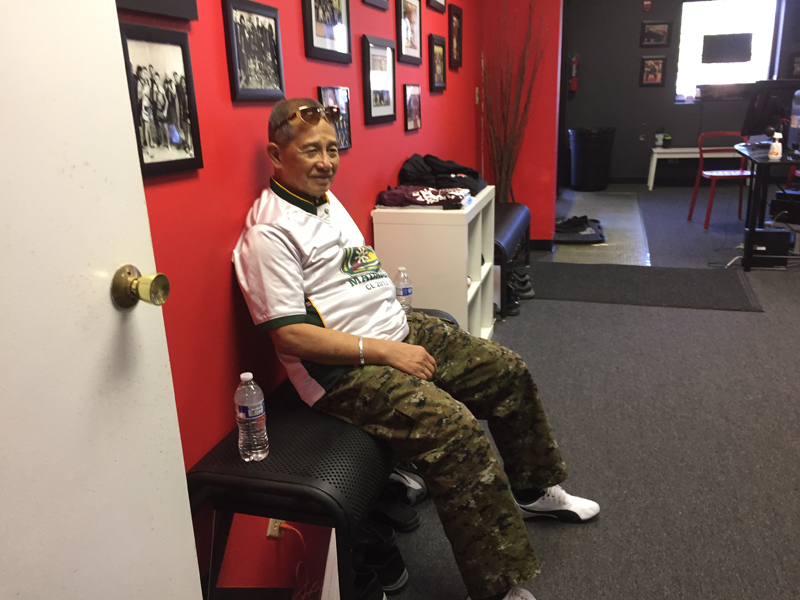 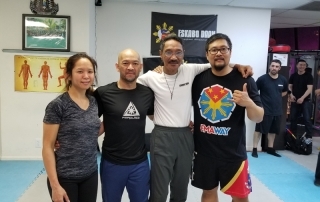 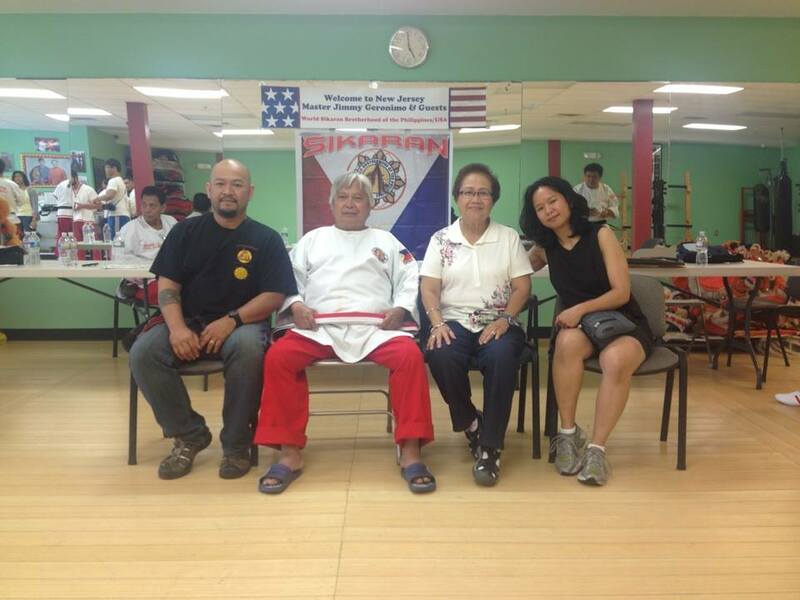 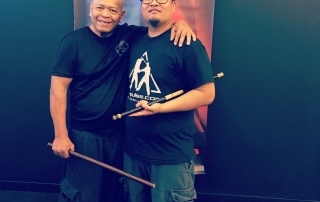 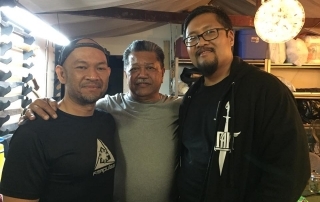 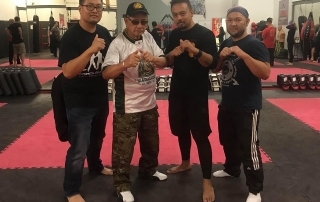 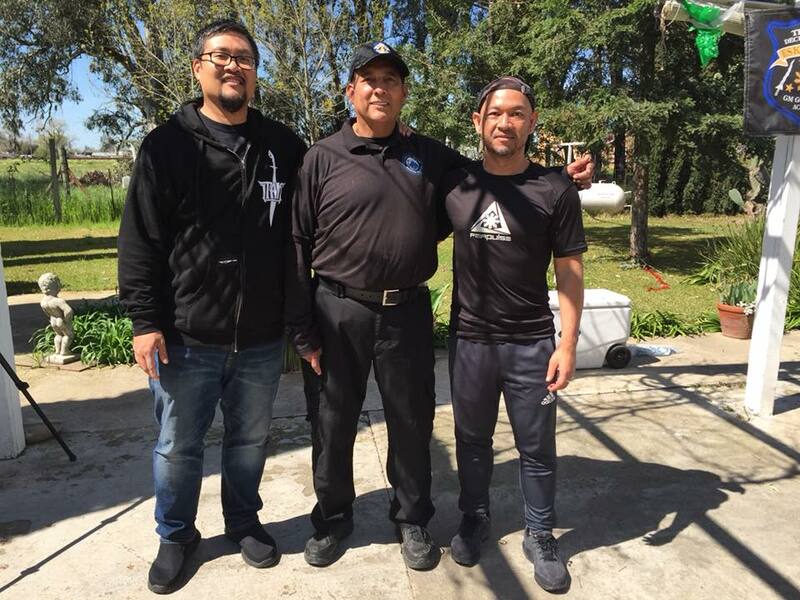 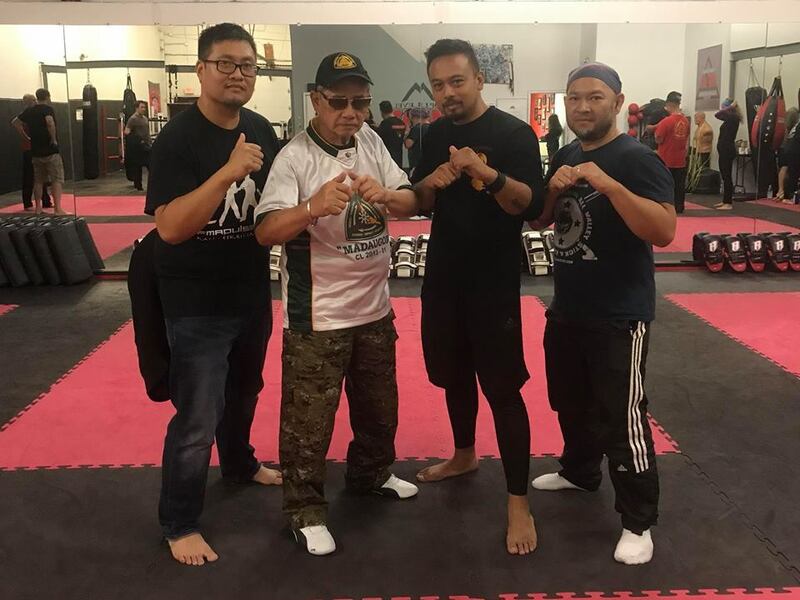 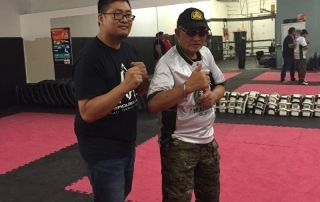 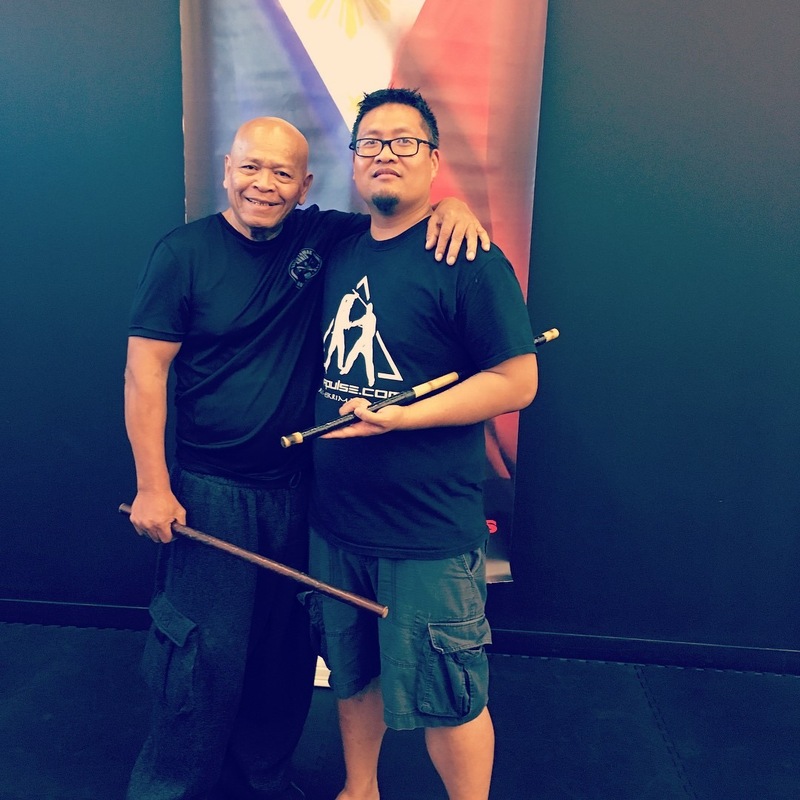 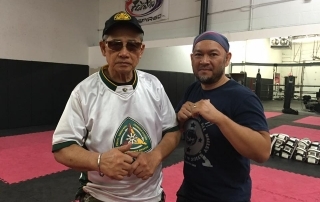 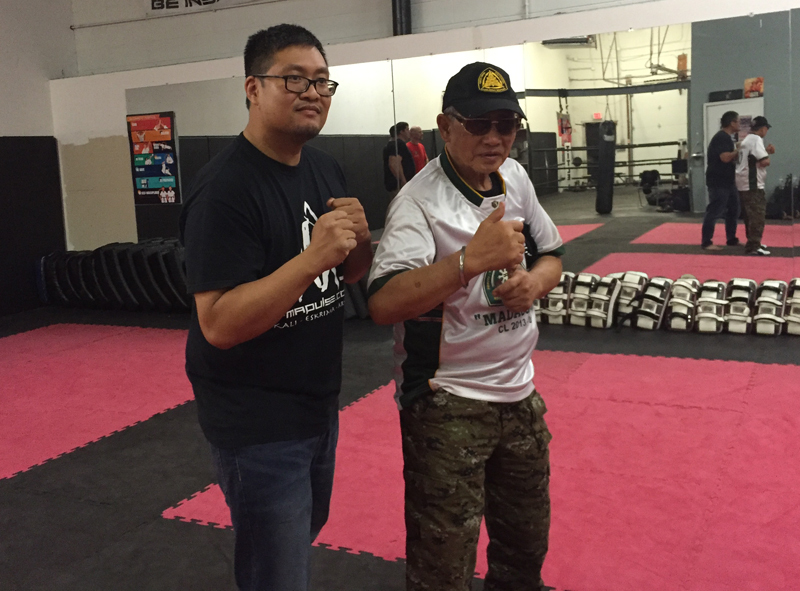 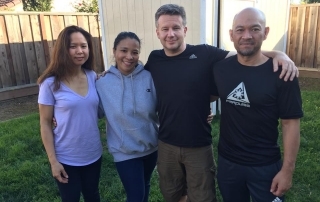 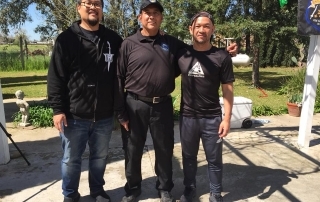 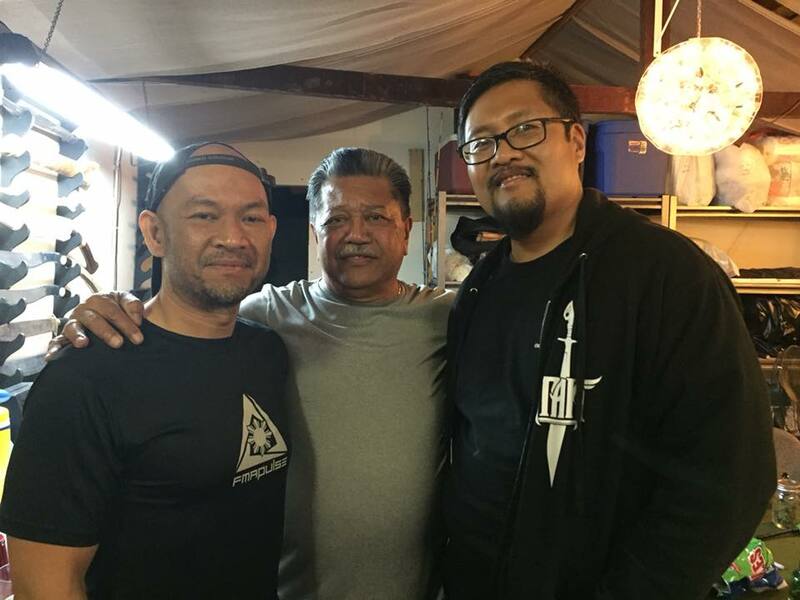 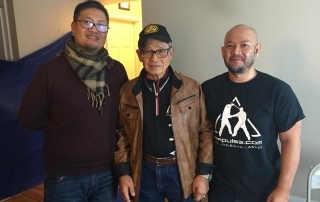 Coming from Filipino descent and having trained in other different martial arts, it was an inspiration and surprise to hear that the Philippines, the country of our ancestry, had it’s own martial art. 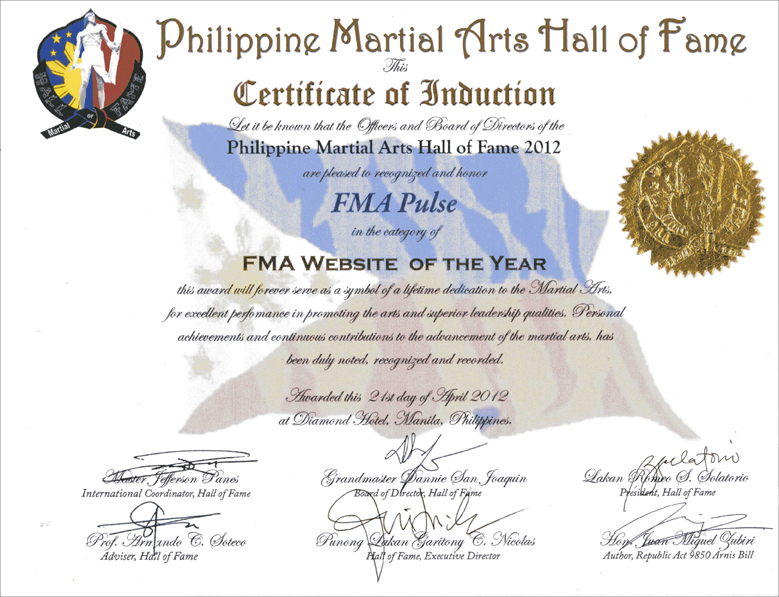 FMA Pulse was founded in 2009 by four FMA practitioners, Michael Querubin, Jennifer Asidao-Querubin, Jessie Santiago and Geo Gedrimas. 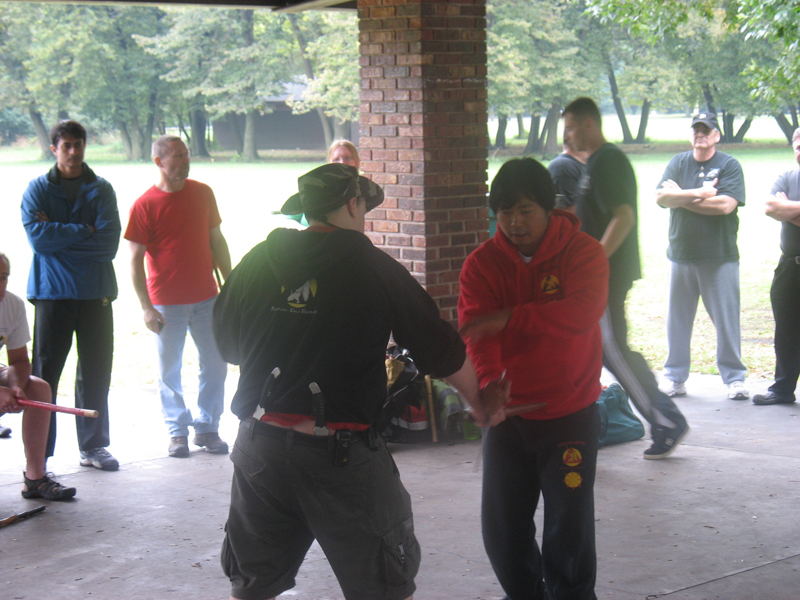 Based in Chicago, IL, like many FMA practitioners, our training has taken place in various garages, parks, backyards, rented spaces & dojos. 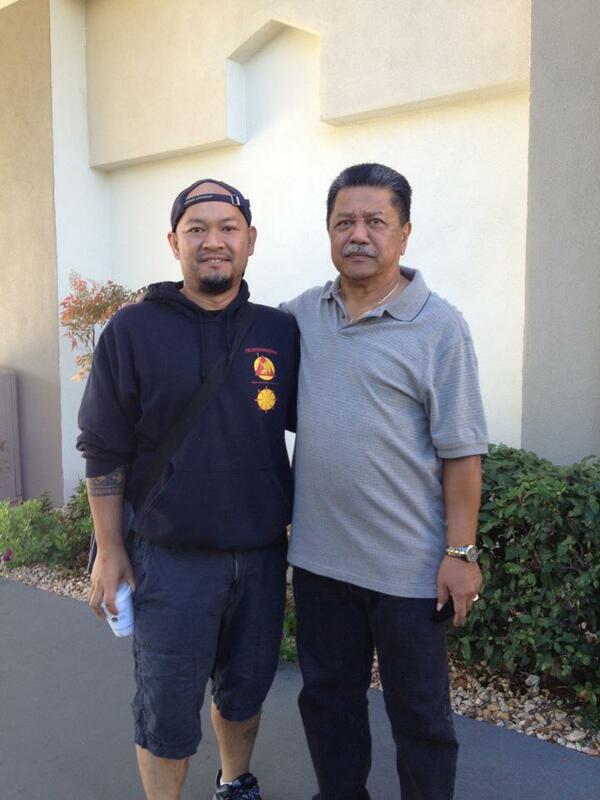 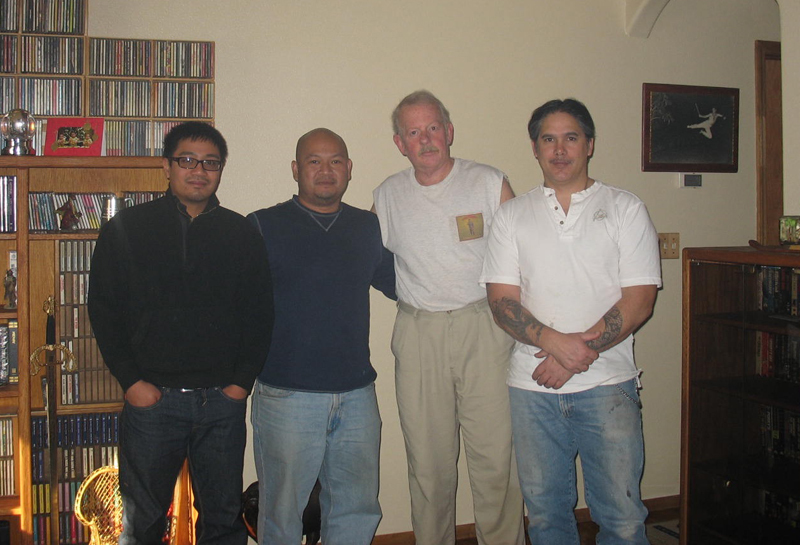 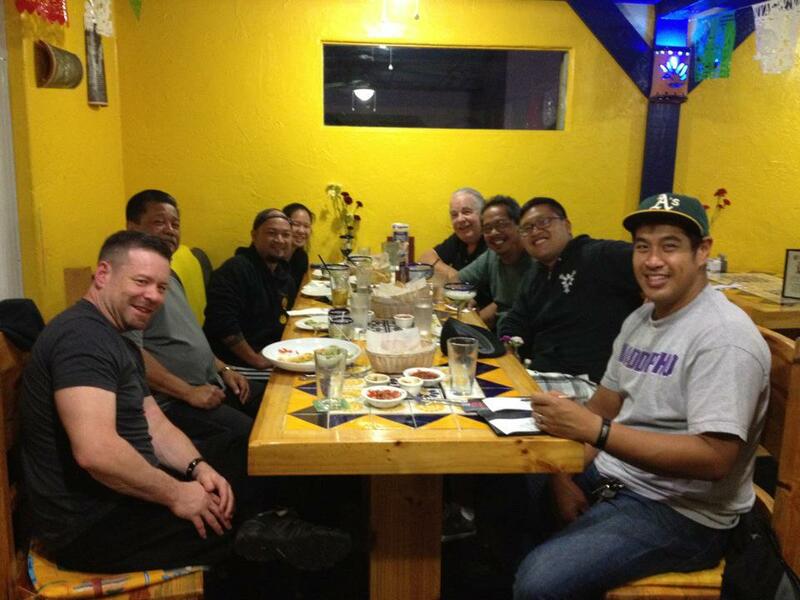 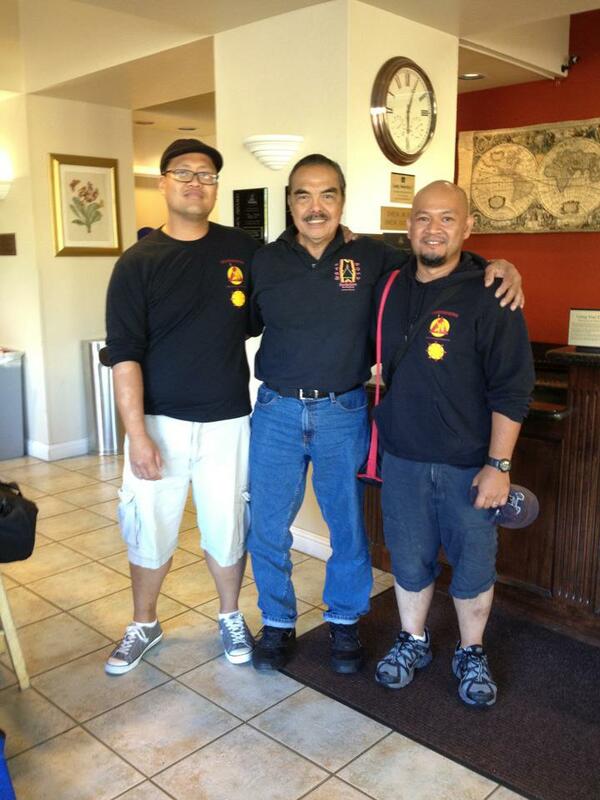 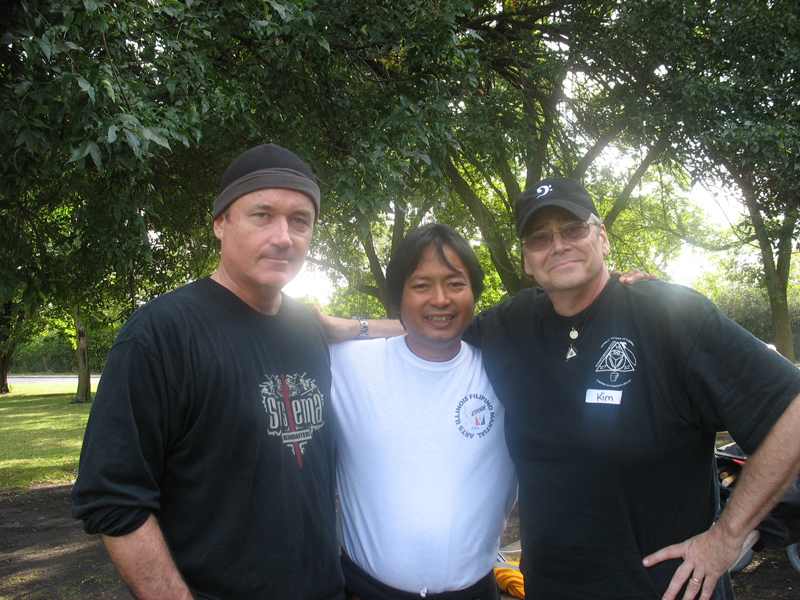 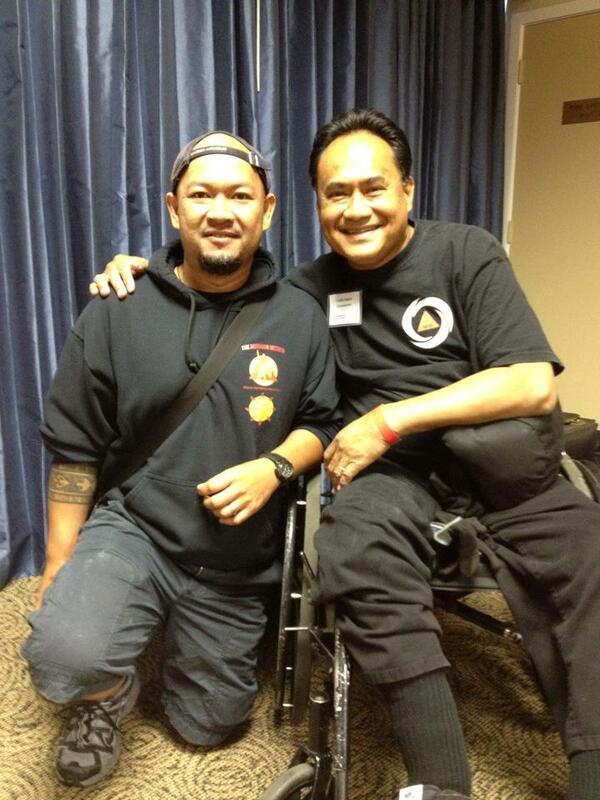 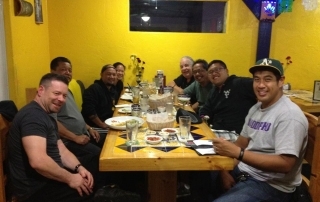 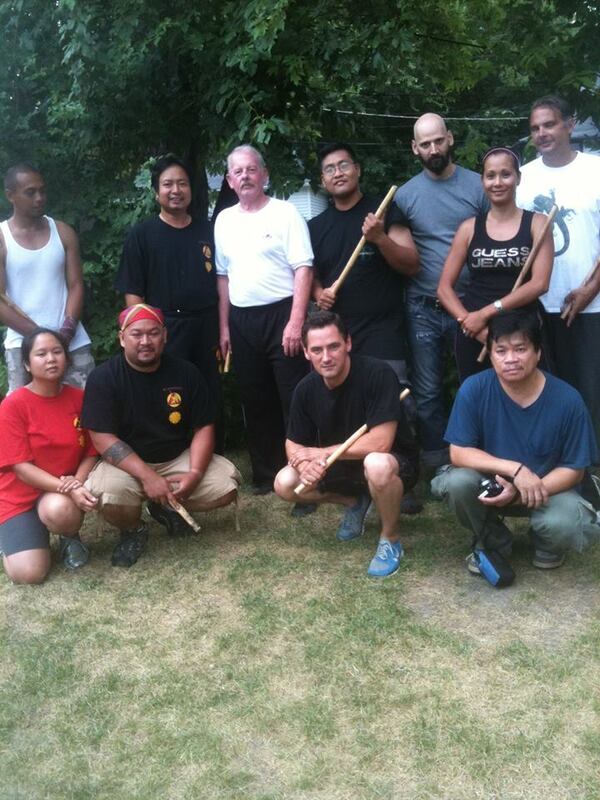 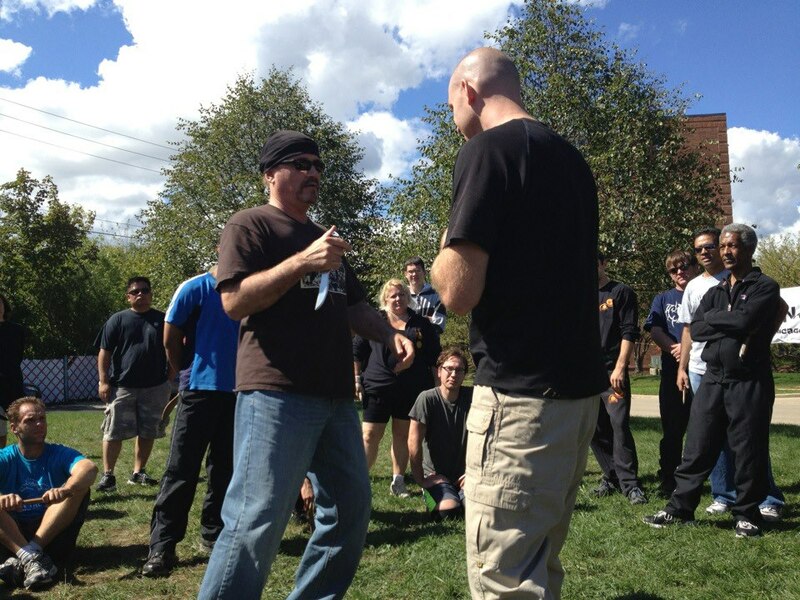 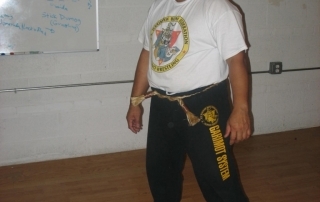 We have been fortunate enough to have studied from a local instructor with direct lineage to various FMA Grandmasters. 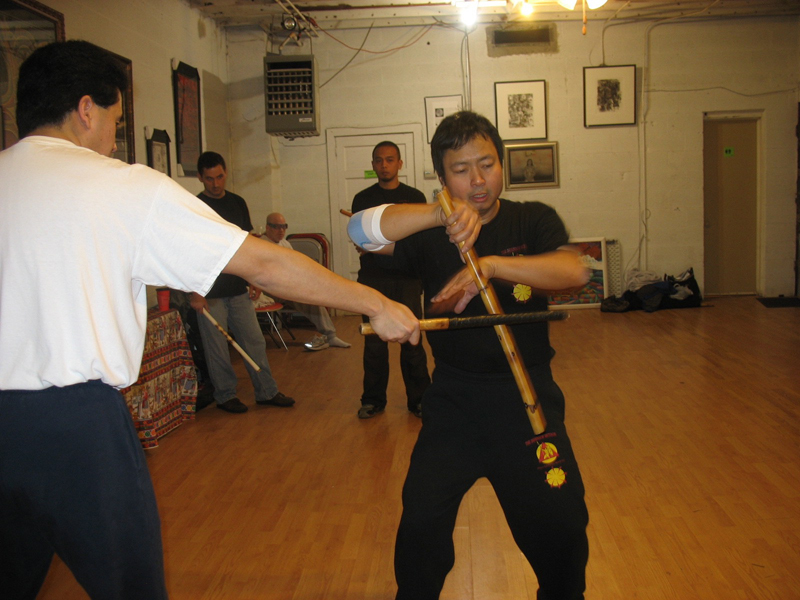 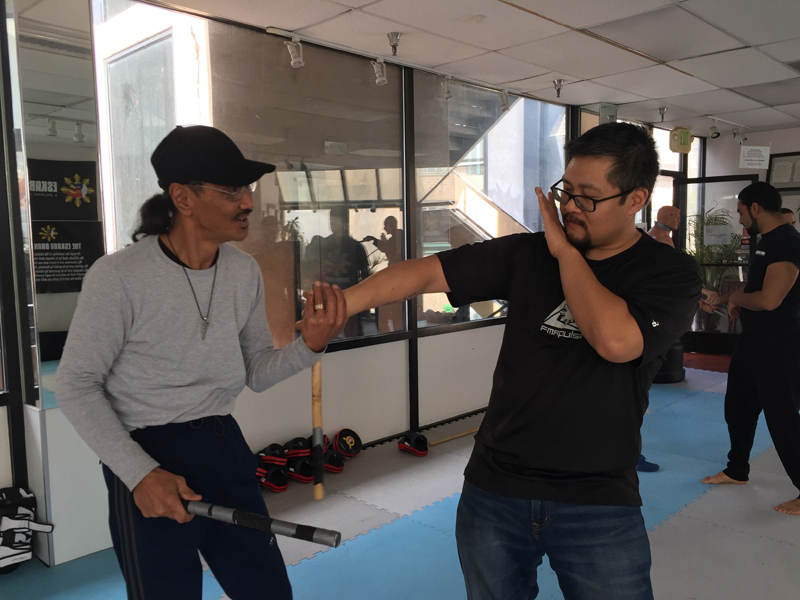 The versatility of Kali, Eskrima, Arnis has convinced us, like thousands of others around the globe, of its effectiveness as a martial art. 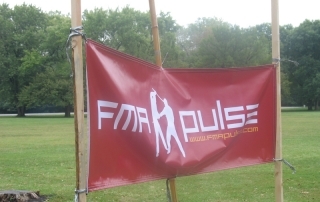 Several years later, FMA Pulse was born and many fulfilling relationships in the FMA world has been and will continue to be established. 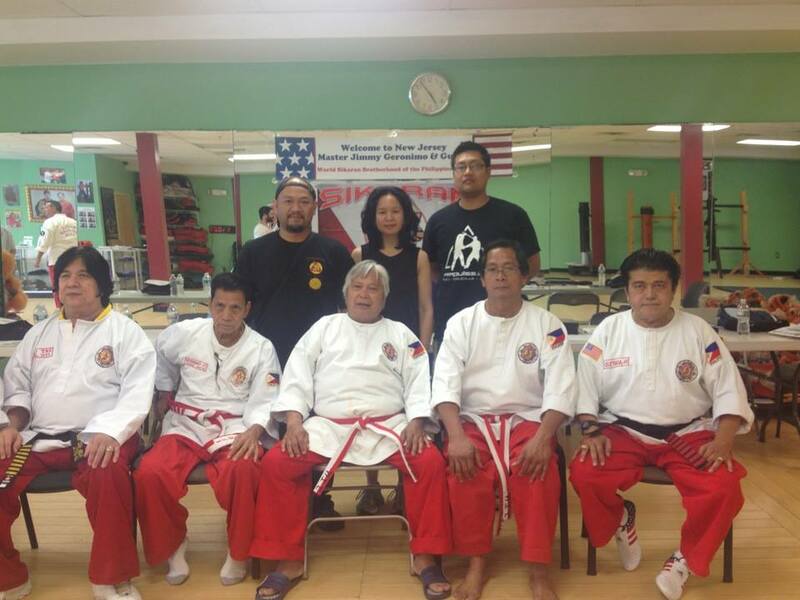 It is incredible to realize that the Philippines has, in essence, it’s own Ushieba’s, Ip Man’s & Yamaguchi’s. 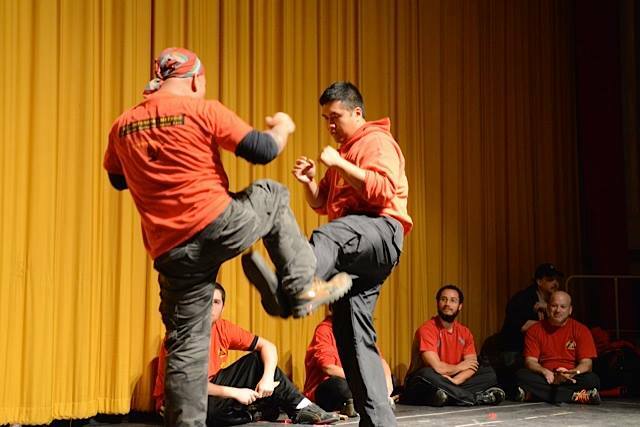 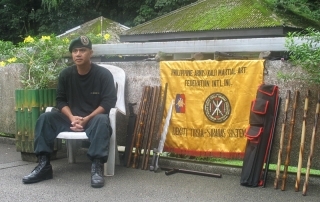 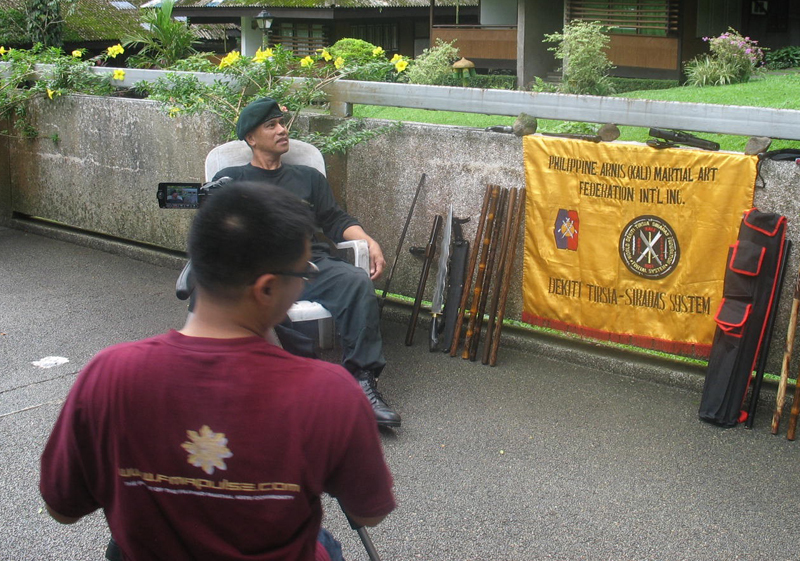 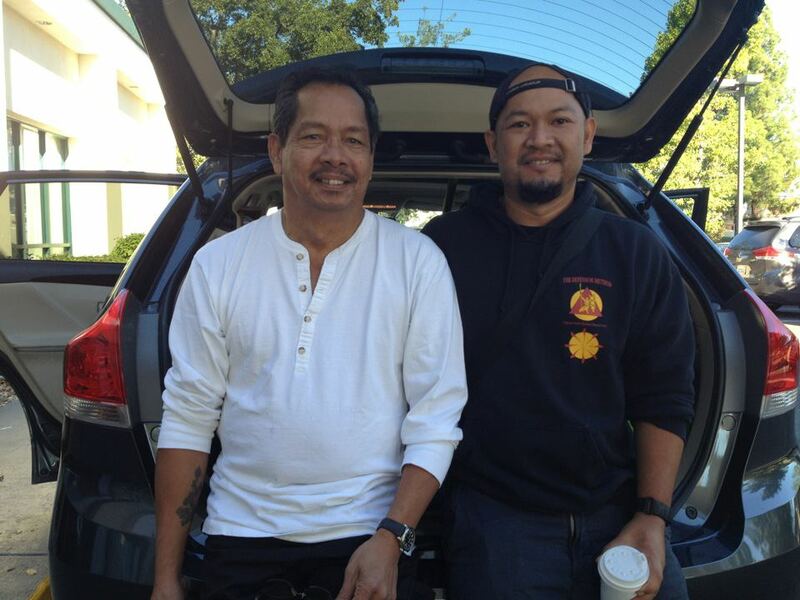 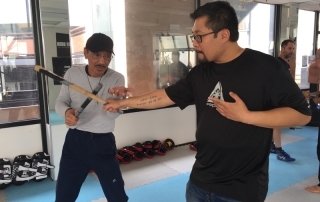 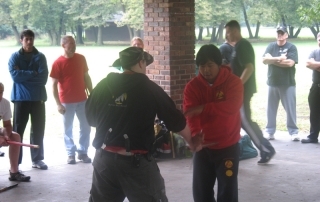 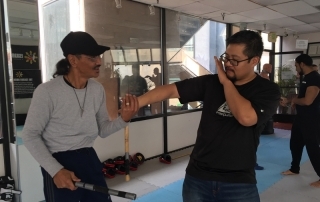 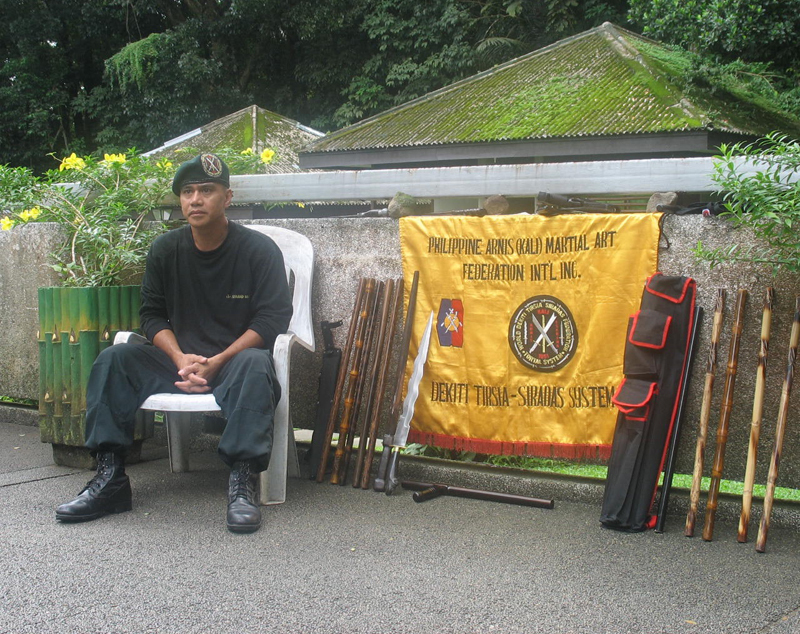 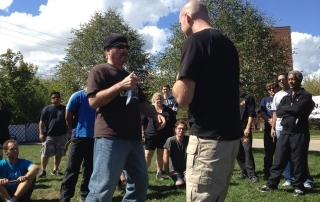 Yet, the flip side of the coin reveals a disheartening reality – a lack of recognition for the Filipino Martial Arts and the Grandmasters. 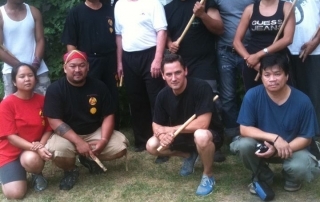 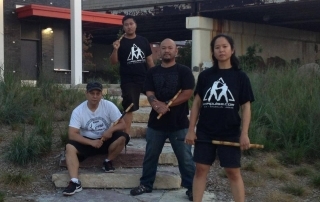 Ironically, FMA is found in a multitude of mainstream American movies, yet thousands if not millions are unable to identify that the choreography used in these films are Filipino Martial Arts. 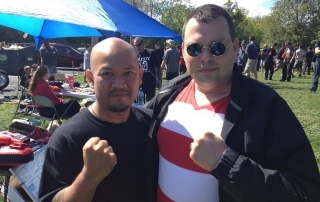 This is even evident in the country of origin. 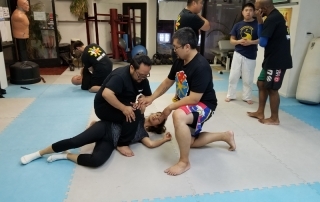 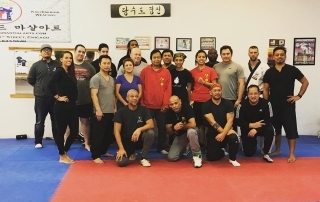 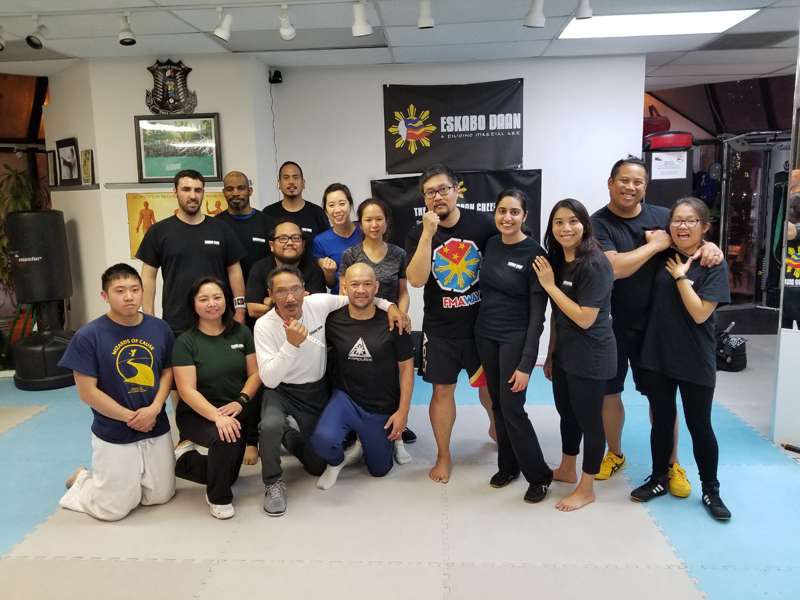 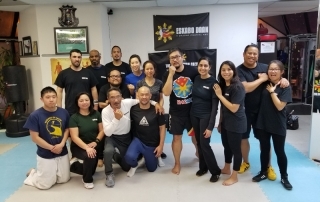 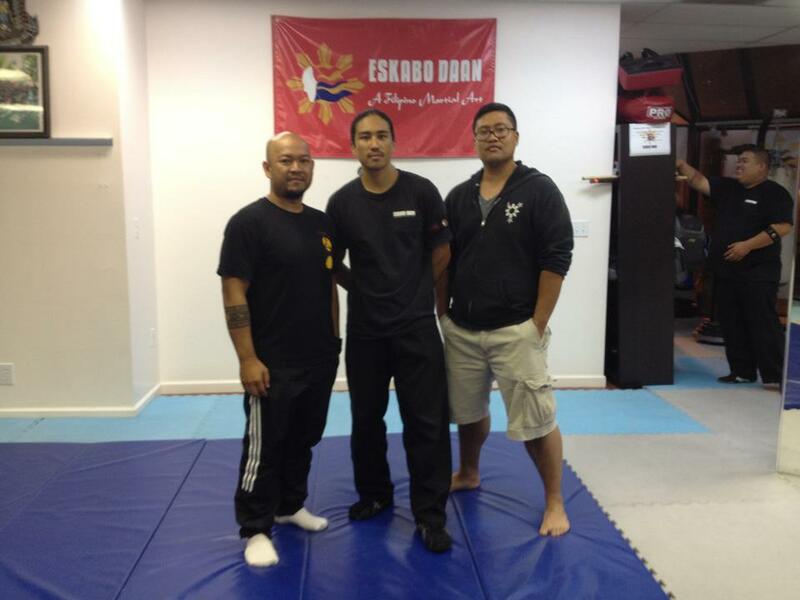 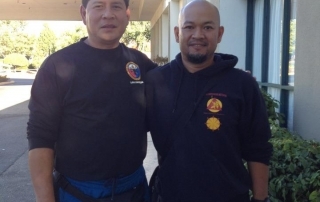 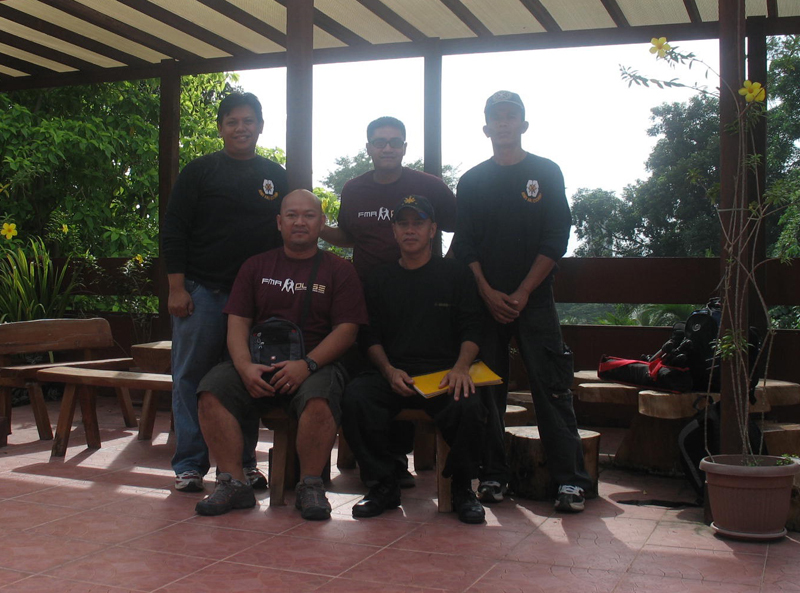 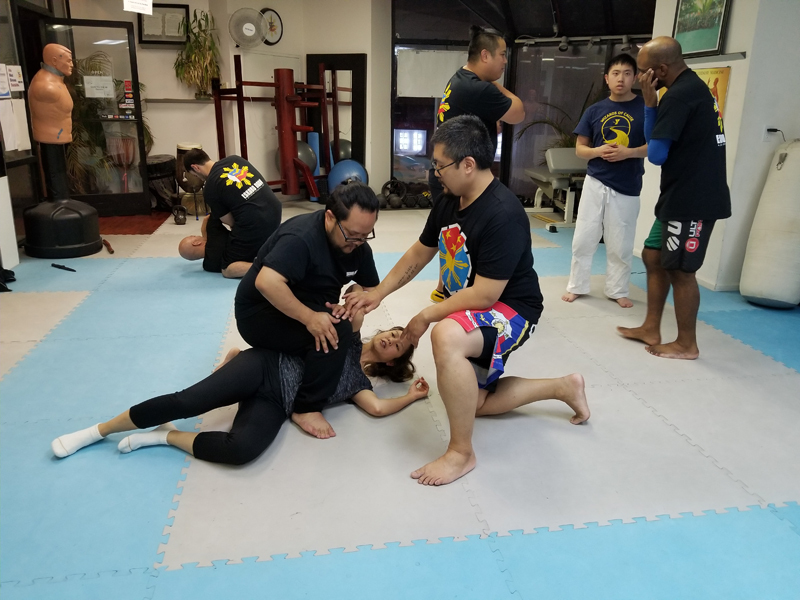 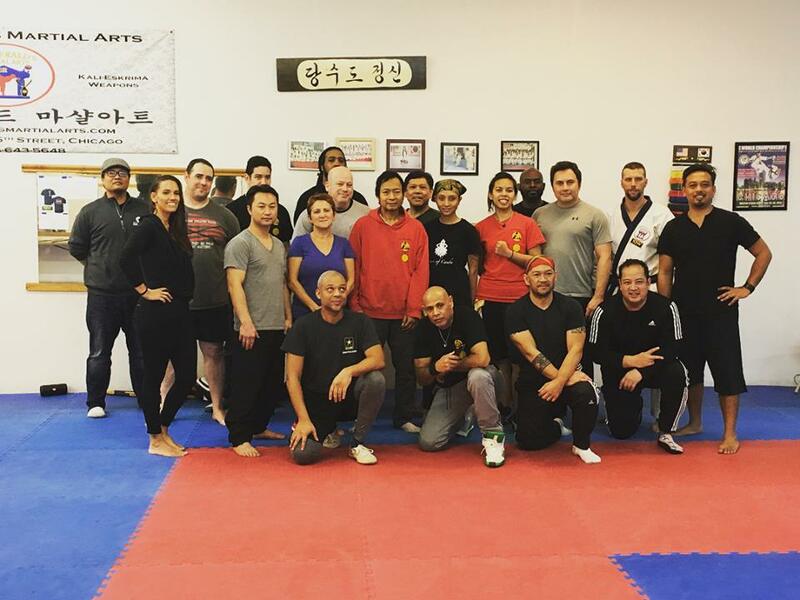 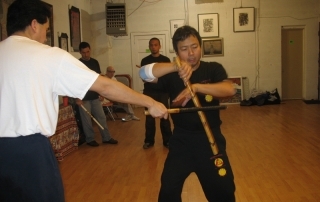 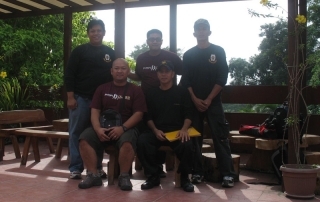 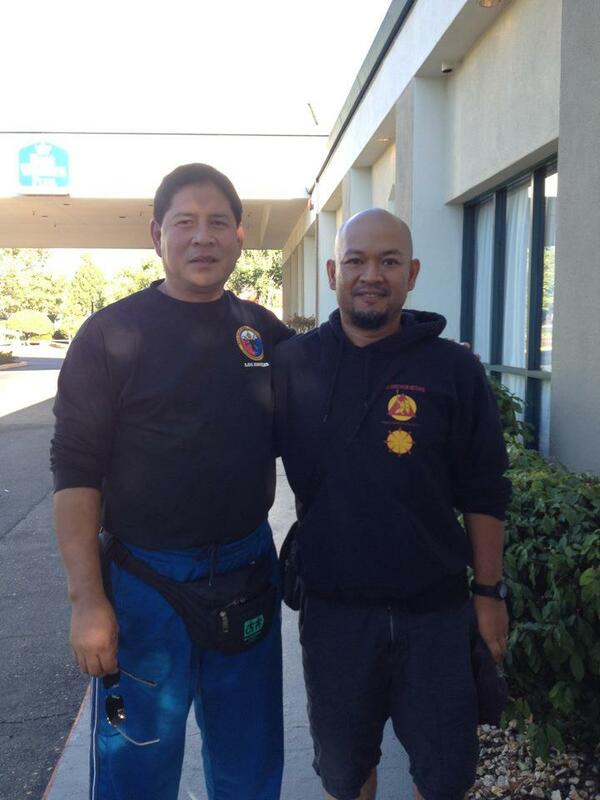 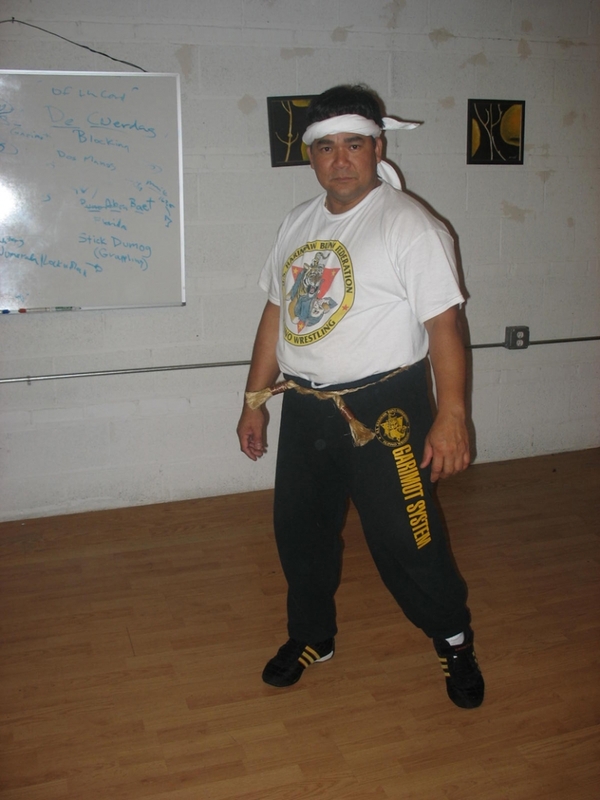 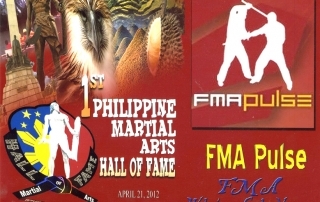 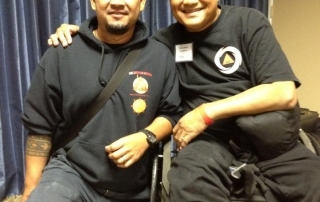 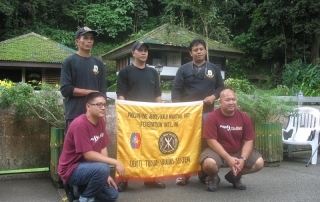 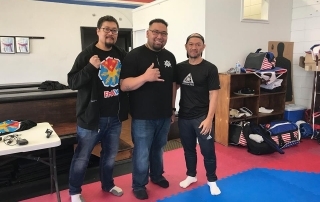 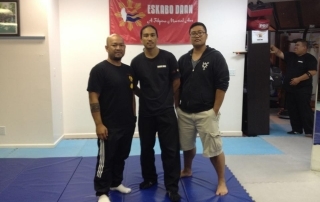 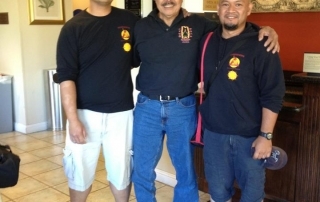 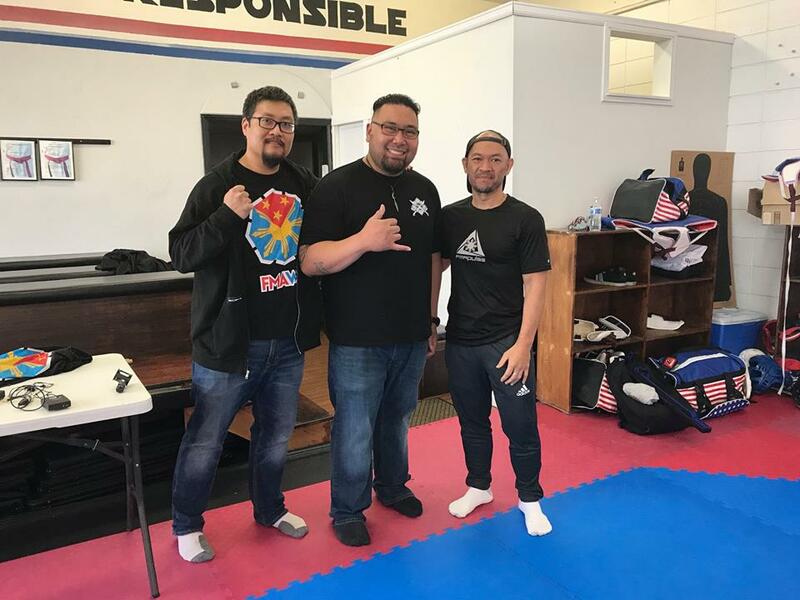 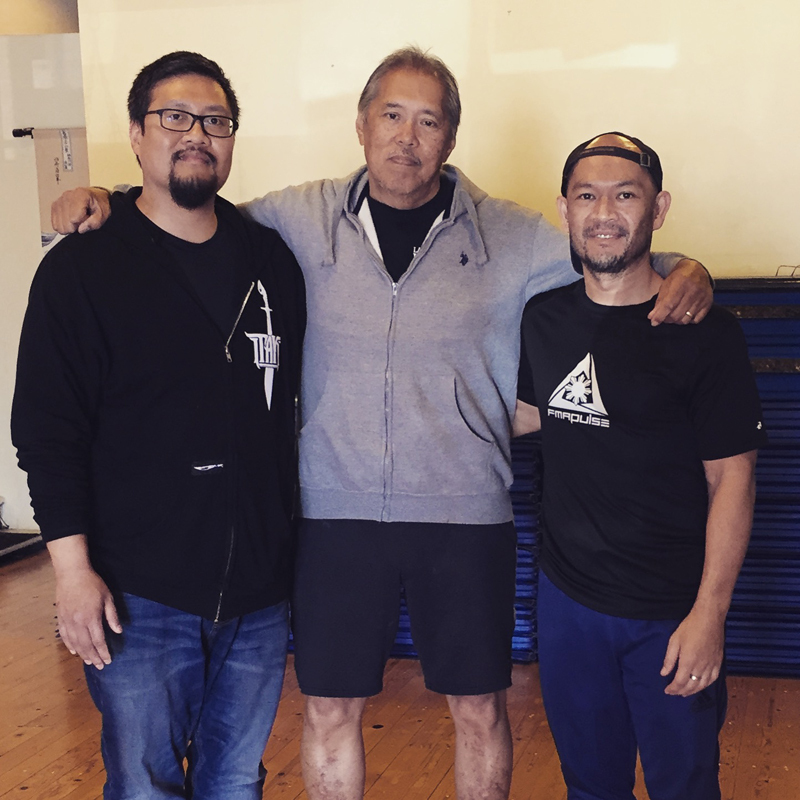 It is common knowledge that other asian martial arts have risen in popularity on the islands while FMA has proliferated mainly outside of the Philippines. 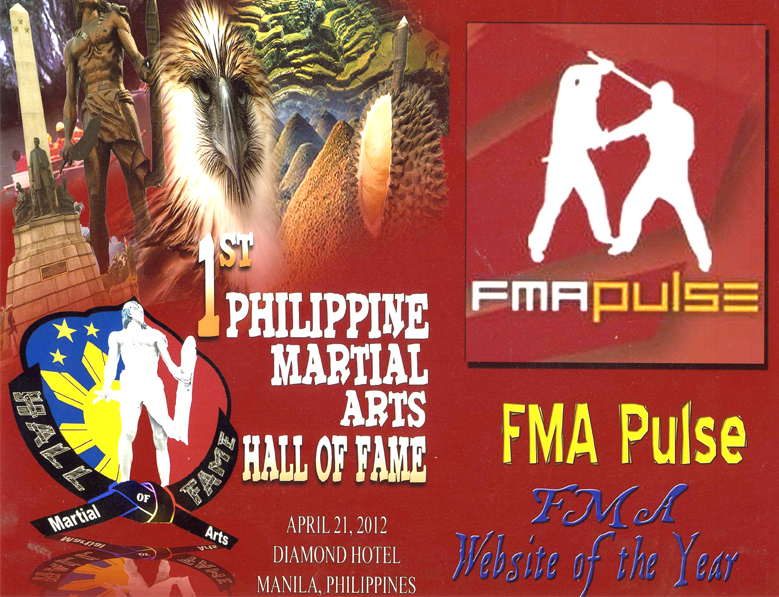 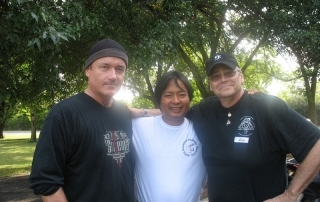 It is the wish of FMA Pulse to be a part of the raising of the Filipino Martial Arts, to that of world class status and recognition. 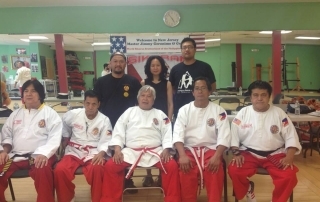 Our team aspires to give recognition to all FMA grandmasters, masters, guros, etc, either living or in spirit, their various styles as unique and diverse as the seven thousand plus islands of the archipelago. 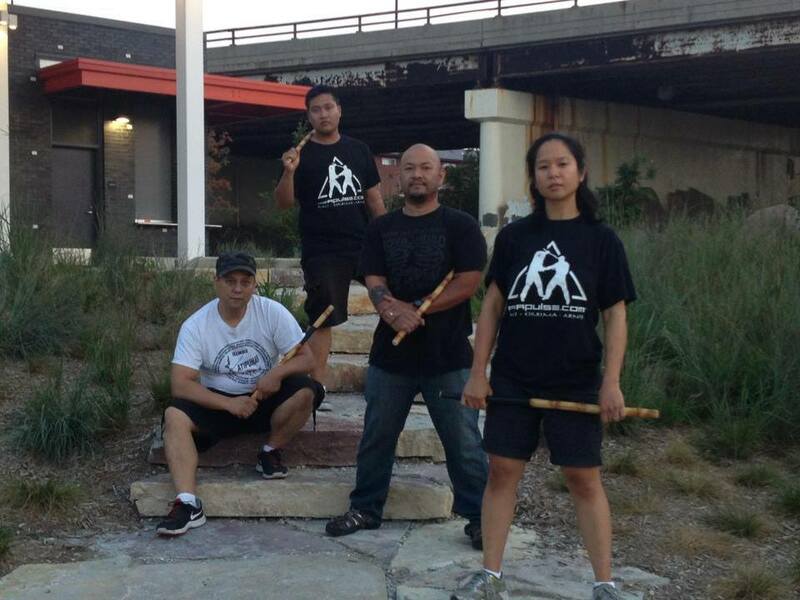 We recognize this and celebrate it and welcome you to join us in this journey. 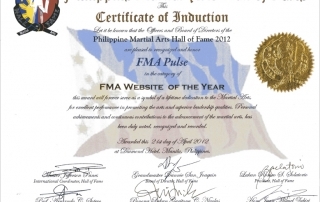 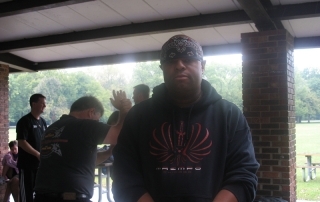 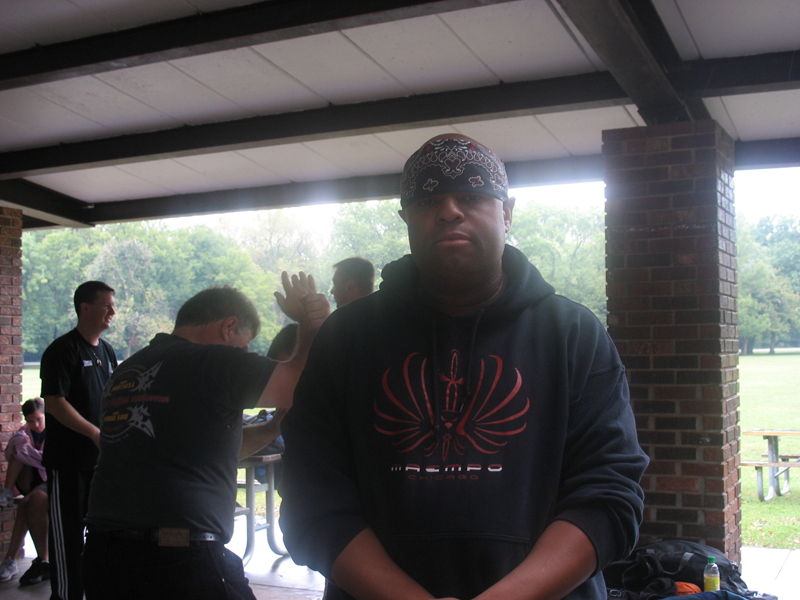 This website has been designed to serve the FMA world community, and those new to FMA, looking to learn more about this great Martial Art. 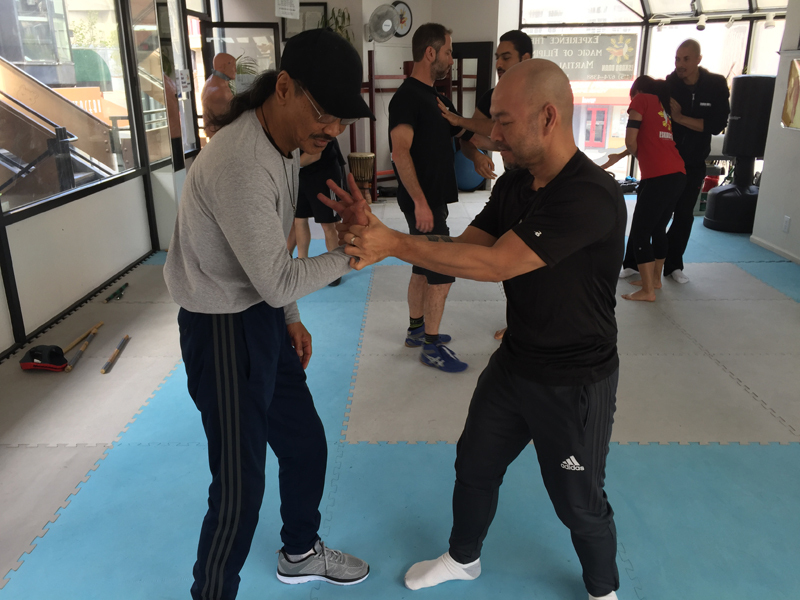 We look so forward to meeting you, getting to know you, training with and learning from you. 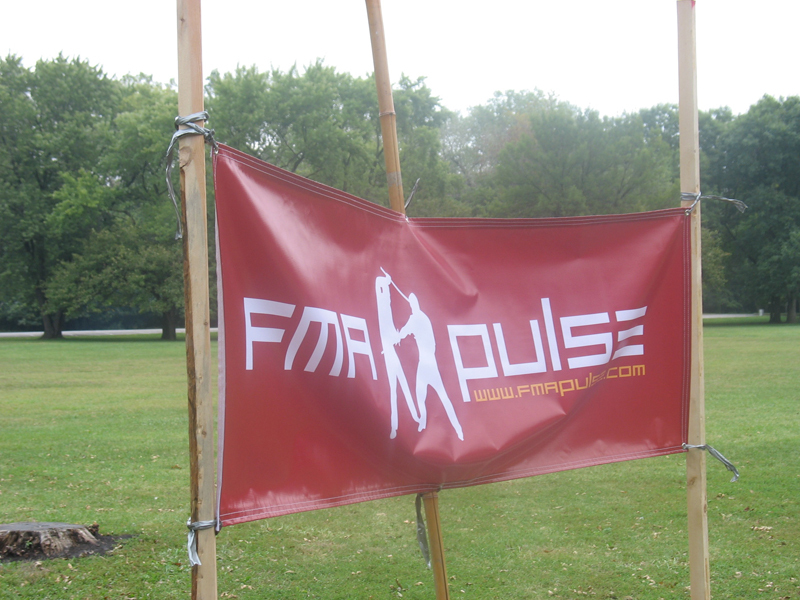 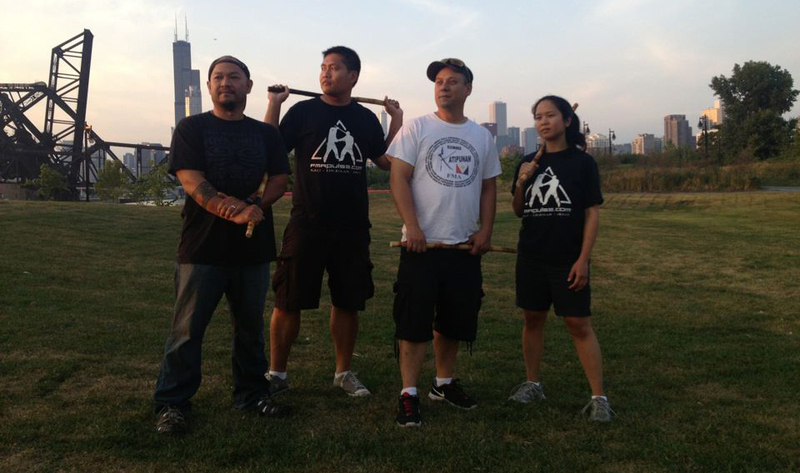 The FMA Pulse team – Mike, Jenn, Jessie and Geo.